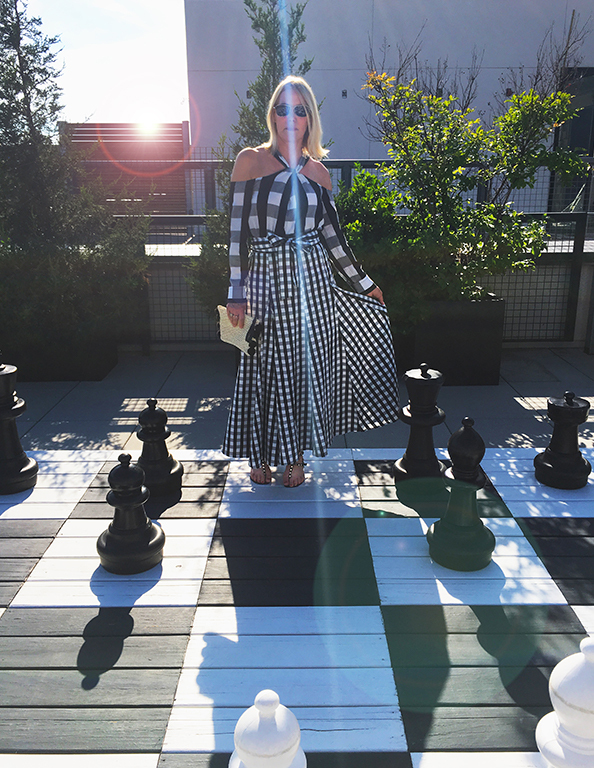 Gingham was on fashion’s sizzle radar last spring and summer (as seen in this post), and it’s back bigger than ever. For this dressed-up look (can you say date night? ), I’ve paired two black-and-white separates in different sized checks. I didn’t buy these pieces to wear together, but when fashion kismet strikes, you go for it. That being said, Part 2 of OGGDA is going to feature each of these pieces as the focal point of a more casual look. All of which goes to say, buy (and wear!) what you love. Especially if you love how it expands your fashion horizons. Check! 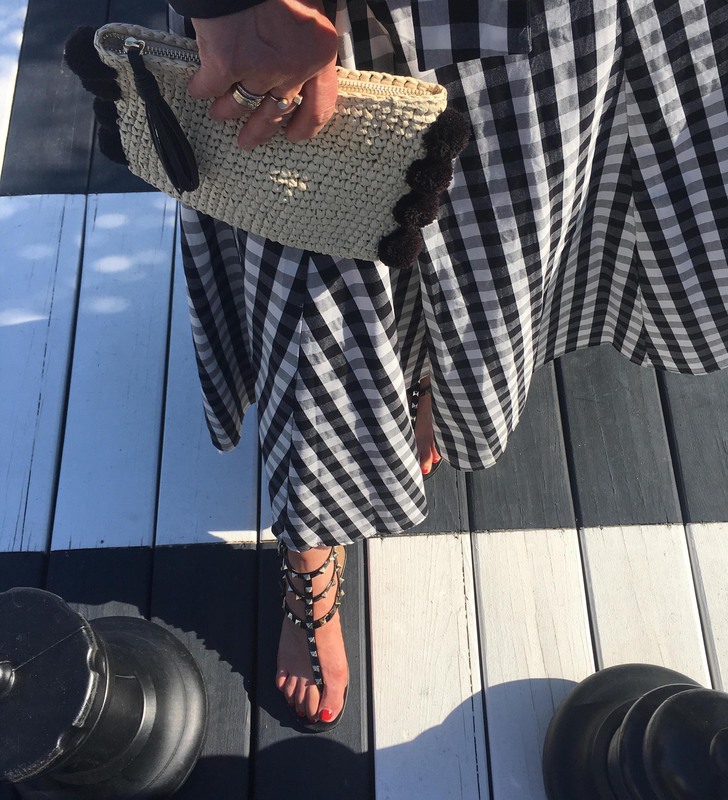 So biggest thing about each of these gingham statement pieces is that they were each a steal — the Rag & Bone blouse on sale @ Nordstrom and the skirt a WWW Target collaboration. I probably put this cold shoulder gingham blouse in my cart a couple of times before committing. But I’m so glad I did. I’ve worn it all the ways you’ll see on the blog and then some. And even though gingham is a trend du jour, it’s also a classic pattern that will stand the test of time. And this maxi skirt? Twirl, girl, twirl. It’s 100% cotton so it feels super cool and is designed to look, well, super cool…and super flattering on all body types. As for accessories, I finished this gingham look with a mix of high and low. 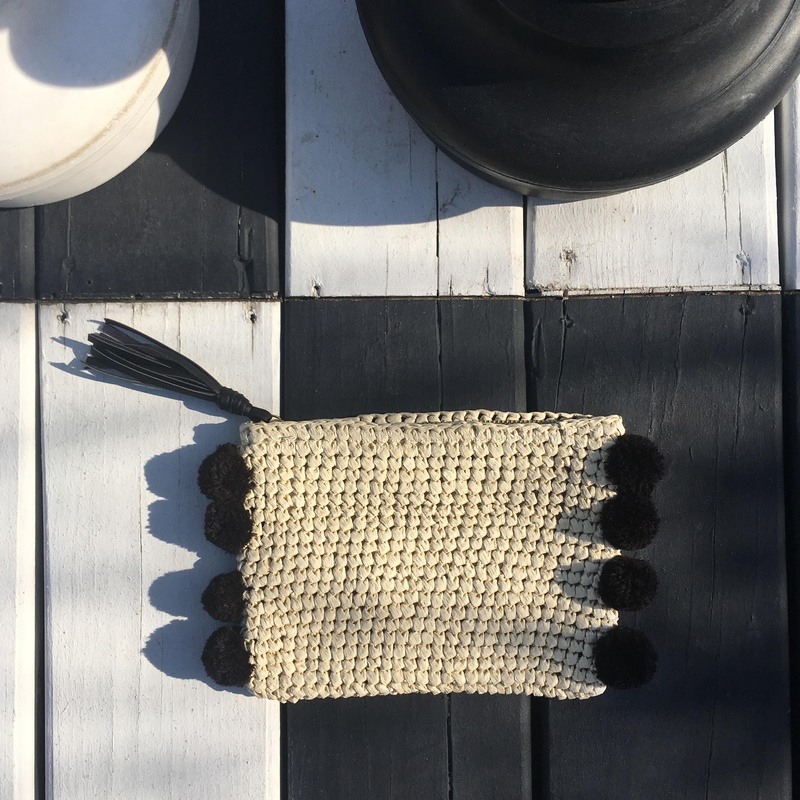 The cute straw pom-pom pochette was an H&M find and my sandals are Valentino Rockstuds that were scored at Nordstrom Rack. Still not cheap but seriously they have been my sandal go-to since the moment they stepped out of the box. Even on sale a splurge but so worth it! So how about you? Have you gotten your gingham on? Let me know how! Fabulous look! i love your mix of the two ginghams, and that skirt. What a find! 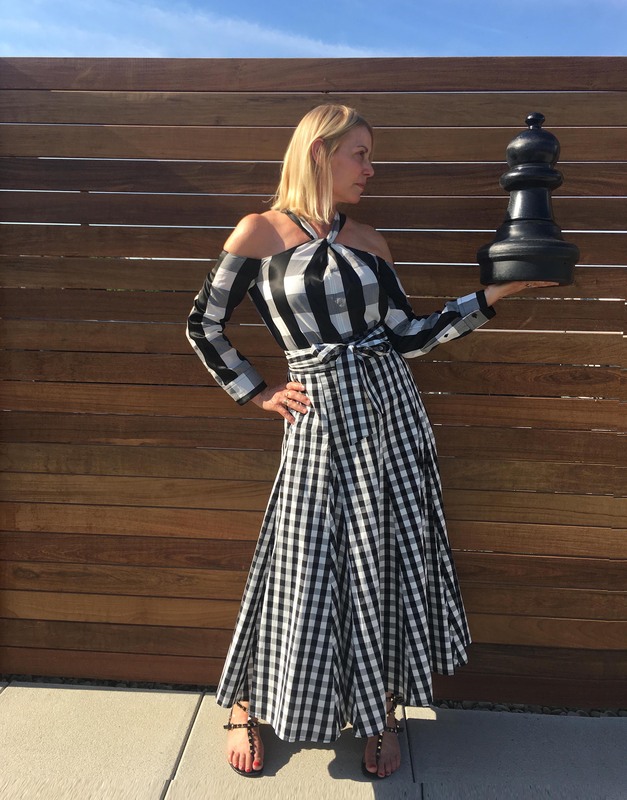 And mega extra points for the inspired chessboard shoot. Thanks, Kathy! Shooting in such a fun location is a no-brainer when it’s the roof of your building! And WhoWhatWear sure did do it again with this skirt.